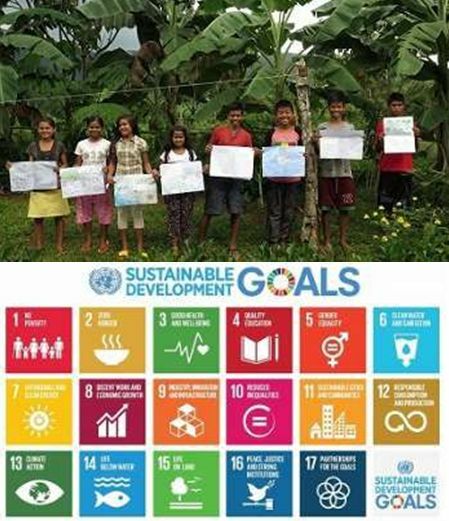 During the UN Summit held in New York last September 2015, the world leaders agreed to adopt the post-2015 Development Agenda, consisting of 17 goals, which is designed to tackle the three pillars of sustainability: environmental protection, social development and economic growth. With the adoption of the goals is the hope that political policies worldwide will set their direction towards the achievement of these goals. Through Project Everyone, a UNESCO–supported global campaign, the 17 sustainable goals reached the Apu Palamguwan Cultural Education Center (APC) prior to its adoption. In collaboration with World’s Largest Lesson, which provided various alternative lesson plans, the goals were introduced to the students. The lessons help the students understand the issues around the world, how these issues affect them and how they can respond. There is now a shift in the understanding of ‘development’ from what has been portrayed by the mainstream society, which only profits a few, into that which is sustainable and inclusive. The students are seeing that their local efforts have global impact. The protection of their forest is valuable not only to their community’s sustainability but to the rest of humanity and earth as a whole. As a further step towards education for sustainable development, APC recently opened its high school education program with innovations in the curriculum. Courses such as Natural Resource Management, Local Economics and Formative are inspired by the needs expressed by the community during their gathering, Kaamulan, last December 2014. APC education maximizes the use of gaup, the ancestral domain, and serves as its primary source of learning. Through experience, they learn about assisting natural regeneration (ANR), agroforestry, organic farming, hydrology, biodiversity among others. 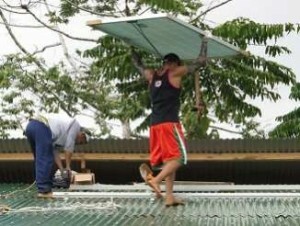 APC utilizes renewable energy to provide electricity to its dalepaan (closely translated as dormitory). A mini-hydro generator provides electricity to four buildings while two other buildings have solar panels. The set-up allows the students to experience an alternative source of energy. Given the limited source, it also educates the students to become responsible consumers. Healing Earth, a living textbook from the International Jesuit Ecology Project, will soon be used as resource material. This material provides a unique approach of transformative education by putting together science, spirituality and ethics. It provides holistic formation that helps the students understand the value of simplicity and living harmoniously with each other and with the environment.